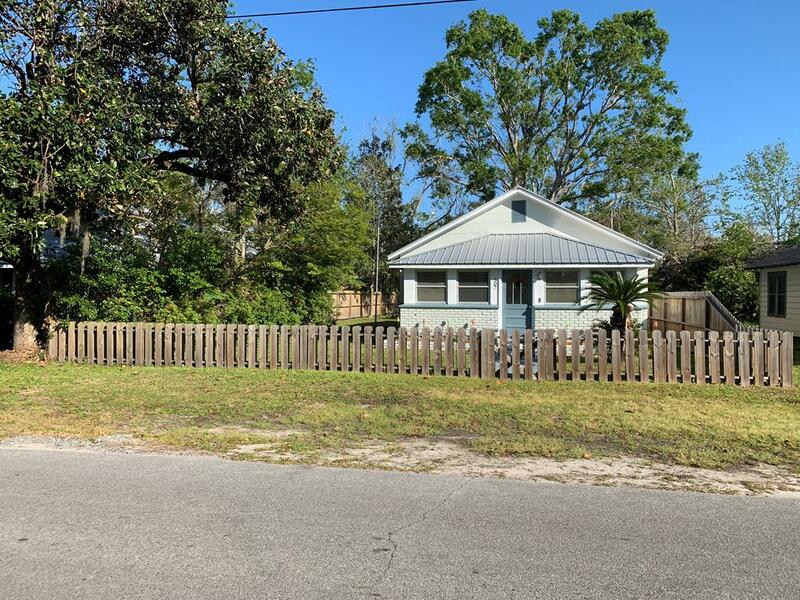 This home is located in the heart of Port St Joe with a view of the bay from the street. It has a wooded privacy fence around the back, a large yard with firepit, pavers for outdoor chairs, and a large screened porch. Their is also an RV electrical outlet and water located in the yard. The home has new polyvinyl plank flooring throughout, rinnai, and rennovated bathroom. The kitchen was renovated a couple of years ago. It has the open floorplan with a lanai in the front which can be converted to another bathroom making the large bedroom a master. In the rear of the property is an alley, which accesses the rear building which once had an efficiency apartment. Lots of character and potential for this property. This property had NO hurricane damage!